Just wondering if anyone has tried the Whole 30 program. DH and I started four days ago and, so far, it hasn't been too difficult. Although, I do miss having a cold beer or glass of wine when its this hot out! I'm finding lots of interesting new recipes without grains and dairy. I have thought so many times about doing whole 30 but since I don't cook, it's daunting. When I started keto, it kind of feels like whole 30, actually. Now I'm having a hard time sticking to it.... I'd love to hear how your progress goes! My son's in-laws have been doing it for about 2 years. They swear by it. My DH thinks she's gotten too skinny, but I'd kill to be that thin! Later: Like Rae, I'm doing Keto, and don't see how I'd function without cream! And Vicki, I'm sorry to hear you're struggling. What can we do to help? Last edited by SharLamb; 07-08-2017 at 12:22 AM. I've heard others having success with it. I think there are a lot of similarities between Whole 30, paleo, keto, etc. I couldn't do it b/c I need my cream and stevia for coffee so it wouldn't be allowed on Whole 30 but it is allowed on keto so that works for me. I was tried to limit sugar and gluten, but then just quit, why to excruciate my taste, when so many people continue to eat corpses and pretend that is healthy?! Many scientists and doctors are swear that meat is harmful, but the new mainstream is that the sugar is actually worse, so guess what all these lab test shows only what is necessary for the industry which pay more. One good trick which works for every food regime is just to change your plates with smaller. All the contents in the plate should not exceed the size of your palm. What I like from the Whole30 is eat foods with very few ingredients and plenty of herbs, spices, and seasonings. Everything other I left to the taste of my personal chef (sister). Well, you don't have to worry about baking on Whole 30 Vicki! We've been barbecuing a lot and eating a lot of roasted vegetables and salads. I usually have brown sugar in my coffee Rae, so I'm really missing that right now. I think cheese is the thing that I miss the most so far, though. 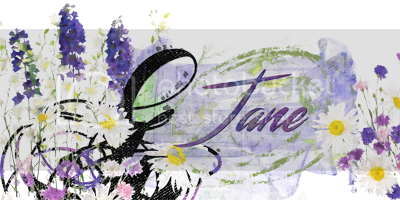 Last edited by janedee; 07-08-2017 at 12:14 PM. Yes, Whole 30 recommends a palm size portion of protein but half a plate of veggies. I do like the emphasis on basic protein, fruit and vegetables, but I think its probably much easier to do in the summer when the body doesn't crave th carbs as much.